Over the years we have posted many, many times about how undying love for Canada and the wonderful people that inhabit it. It’s a very cool place that gave a home to likes of Bret Hart, Chris Jericho, and the entirety of those involved in the recent emergence of a music scene in all of the record labels and bands we have come to hold very dear into our tiny little English hearts. 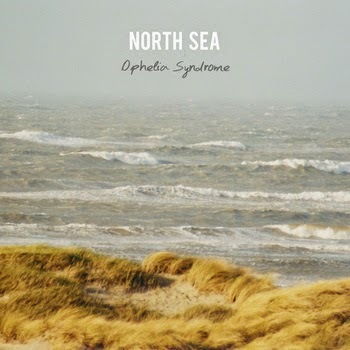 Today’s addition to the ever expanding list of Canadians featured comes from Ontario’s Ophelia Syndrome, with their new album North Sea. Lead single Stay definitely raised expectations as this lovely little tune delivers sweet piano chords paired with warm bass tones and a female vocal that could make feathers dance in the air. Ophelia Syndrome allow this very nice beginning to blossom into a wonderful folk-pop track that could have come from the likes of First Aid Kit or maybe even Fleet Foxes if they squeezed on their testicles for a little while. This track definitely had everything going for it. There were hooks, harmonies, melodies and it was all produced by numerous amounts of instruments that formed an instrumental that was just beautiful to listen to. One definite quality that North Sea possesses and utilises VERY well is amount of variety throughout its ten songs. There’s intense, ambitious balladry in the opening tracks, while some take a turn into grittier paths like Can’t Be Saved while some simply deliver some nostalgic goodness in Foolish. Ophelia Syndrome have an unbelievable talent when it comes to writing material that simultaneously heads in different directions yet remains in the same car at all times. Even the deeper cuts such as Wayne manage to tread new ground despite the ridiculous amount of shoes North Sea wears. However something that unfortunately falls flat are the vocals. The lead female vocals in particular have been captured in a way that somehow manages to sound a little out of touch with the music, and ultimately this stark contrast between well produced instrumental and not-as-good vocals creates a kind of displeasure when listening to some of these songs, as great as they sound. In some cases they manage to slip nicely into the music such as the softer parts of the album in The Hope but then in other cases like Magnets it sticks out like a sore tonsil. North Sea is an album that certainly had all the right tools musically to be a fantastic standout record for 2015, but it has slightly faltered thanks to the lack of tinkering on the vocals on some of its material. As stated already some of the tracks did take the edge off the vocals but there were a few exceptions which failed to really envelop them enough. It is a mild shame but still, regardless of the minor hiccup Ophelia Syndrome are really good at making some songs whatever the genre. If they come back with a record that features improved production then they could become some biiiiig hitters but for now, we could only this record not as much as we wanted to. For more music reviews, free downloads and please don’t hate me. Check out Exploding Head Syndrome on Facebook and Twitter.